1. Thomas Davis died on 13 Oct 1887 in Mt. Carroll, Carroll Co., IL. Thomas married Elizabeth Rinedollar . Elizabeth was born on 27 Dec 1818. She died in Mar 1899 in Mt. Carroll, Carroll Co., IL. + 2 M i. Christopher Davis was born on 21 Oct 1840. He died in Sep 1928. 3 F ii. Camilla Davis . Camilla married Altenson . 4 F iii. Anna Davis . Anna married Hoover . 5 M iv. John C Davis . John served in the military1 Co C 92nd IL Vol Inf in Dec 1863. 6 F v. ? Davis . ? Davis married Harry Sutton . 7 F vi. Ellen Davis . Ellen married Shores . 8 F vii. Abbie Davis . Abbie married Edwards . 9 M viii. Thomas Davis died2 in Died of sickness while at the siege of Vicksburg. Thomas served in the military Co K 15th IL Vol Inf. 10 F ix. Sarah Davis . 11 F x. Elithebeth Davis . 2. Christopher Davis (Thomas) was born3,4 on 21 Oct 1840 in Franklin Co., PA. He died5 in Sep 1928 in Mt. Carroll, Carroll Co., IL. He was buried in Oak Hill Cemetery, Mt. Carroll, Carroll Co., IL. Christopher served in the military Co C 92nd IL Vol Inf on 6 Aug 1862. In the photo are Christopher Davis and his wife Mary (Zuck) and their children Charlie, Sadie, Nellie and Lulu Mae. Christopher married6 Mary J Zuck daughter of Henry Zuck and Sarah Zillhart on 22 Dec 1868 in Carroll Co., IL. Mary was born7 on 4 May 1850 in Freedom Twp., Carroll Co., IL. 12 M i. Thomas Davis was born8,9 on 21 Dec 1869. He died10,11 on 20 Sep 1909 in Carroll Co., IL. 13 F ii. Sarah E Davis (Sadie) was born12 on 4 Jul 1872 in Carroll Co., IL. + 14 F iii. Nellie S Davis was born on 2 Jun 1874. 15 M iv. Charles Frank Davis was born13 on 10 Sep 1876 in Carroll Co., IL. + 16 F v. Lulu Mae Davis was born on 17 Oct 1883. She died on 27 Feb 1967. 14. Nellie S Davis (Christopher, Thomas) was born14 on 2 Jun 1874 in Carroll Co., IL. Nellie married Newman Jones . + 17 F i. Margaret Jones was born on 29 Jun 1917. She died on 20 Jan 2004. 18 F ii. Florence Hanna Jones . 16. Lulu Mae Davis (Christopher, Thomas) was born15 on 17 Oct 1883 in Mt. Carroll, Carroll Co., IL. She died16 on 27 Feb 1967 in Savanna City Hospital, Savanna, Carroll Co., IL. She was buried17 on 1 Mar 1967 in Oak Hill Cemetery, Mt. Carroll, Carroll Co., IL. Lulu married Ray Emmersake Altensey . Ray died on 17 Oct 1918 in Mt. Carroll, Carroll Co., IL. + 19 F i. Mary Ellen Altensey was born on 11 Jan 1917. She died on 11 Jun 1987. 20 F ii. Zella E. Altensey . Zella married Harold Hartman . 21 F iii. Alice Altensey . Alice died young. 17. Margaret Jones (Nellie S Davis, Christopher, Thomas) was born18 on 29 Jun 1917 in Savanna IL. She died on 20 Jan 2004 in San Diego CA. She was buried in Oak Hill Cemetery, Mt. Carroll, Carroll Co., IL. 22 F i. Glenda . 19. Mary Ellen Altensey (Lulu Mae Davis, Christopher, Thomas) was born19,20 on 11 Jan 1917 in 310 State Rd., Mt. Carroll, Carroll Co., IL. She died21 on 11 Jun 1987 in Savanna City Hospital, Savanna, Carroll Co., IL. She was buried22 on 15 Jun 1987 in Oak Hill Cemetery, Mt. Carroll, Carroll Co., IL. Worked at Shimer College and G.E. in Morrison. Grampa worked there also. They also worked at the Proving Grounds (at the Savanna Army Depot). The funeral was Monday in Mt. Carroll Church of God for Mrs. Warren (Mary) Lucas, 70, of Mt. Carroll, who died Friday in Savanna City Hospital. The Rev. George Reser officiated. Frank Funeral Home, Mt. Carroll, was in charge of arrangements. Burial was in Oak Hill Cemetery. Mrs. Lucas was born Jan. 11, 1917, in Mt. Carroll, to Ray and Lula Mae Davis Altensey. She married Warren Lucas, Aug. 21, 1934. She was a member of the Mt. Carroll Church of God. Survivors include her husband; two sons, W. Ray of Mt. 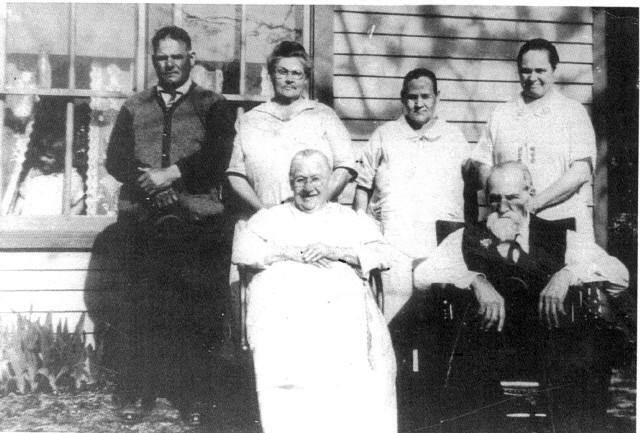 Carroll, and Arthur of Minnesota; six grandchildren; and a sister, Mrs. Harold (Zella) Hartman, of Mt. Carroll. She was preceded in death by a granddaugher and a sister. Mary married Warren Sylvester Lucas son of William Henry Lucas and Ettie Mae Owens on 21 Aug 1934 in Freeport, Stephenson Co., IL. Warren was born on 11 Aug 1911 in Dawn, Livingston Co., MO. He died23 on 23 May 1995 in Freeport Memorial Hospital, Freeport, Stephenson Co., IL. He was buried24 on 25 May 1995 in Oak Hill Cemetery, Mt. Carroll, Carroll Co., IL. Warren was survived by his sons, 6 grandchildren and 2 great-grandchildren; one sister, Bertha Lucas; and one brother, Joe Lucas. He was preceded in death by his wife, parents, four sisters, four brothers, and one great-granddaughter. + 23 M i. Warren Ray Lucas was born on 20 Apr 1935. He died on 20 Jan 2000. 24 M ii. Arthur William Lucas . 1. Historical Encyclopedia of Illinois, Carroll County, Vol. II, Pg 769. 2. Historical Encyclopedia of Illinois, Carroll County, Vol. II, Pg 769. 3. Obituary of Christopher Davis. 4. Historical Encyclopedia of Illinois, Carroll County, Vol. II, Pg 769. 5. Obituary of Christopher Davis. 6. Obituary of Christopher Davis. 7. Historical Encyclopedia of Illinois, Carroll County, Vol. II, Pg 933 & Pg 769. 8. 1870 Census, Page 119.ABBR 1870 Census.In the 1870 census, Thomas' age was 6/12. 9. Historical Encyclopedia of Illinois, Carroll County, Vol. II, Pg 770. 10. Obituary of Christopher Davis. 11. Historical Encyclopedia of Illinois, Carroll County, Vol. II, Pg 770. 12. Historical Encyclopedia of Illinois, Carroll County, Vol. II, Pg 770. 13. Historical Encyclopedia of Illinois, Carroll County, Vol. II, Pg 770. 14. Historical Encyclopedia of Illinois, Carroll County, Vol. II, Pg 770. 15. In Memoriam of Lulu Mae Altensey, From Frank Funeral Home, Mt. Carroll, IL, 27 Feb 1967. 16. In Memoriam of Lulu Mae Altensey. 17. In Memoriam of Lulu Mae Altensey. 18. Obituary of Margaret Richter. 19. Death Certificate for Mary Ellen (Altensey) Lucas. 20. In Memory of Mary Ellen (Altensey) Lucas. 21. Death Certificate for Mary Ellen (Altensey) Lucas. 22. Death Certificate for Mary Ellen (Altensey) Lucas. 23. Remembrance card for Warren S. Lucas. 24. Remembrance card for Warren S. Lucas.